I am so thankful that Thanksgiving is over so we can decorate for Christmas!! In honor of the new season, I made some printables! I heart these! I think they are so cute! I would love it if you would share them at my new Christmas link up - starting on Monday. Love these! The Ho Ho Ho one is fantastic! These are fabulous....thanks...Am pinning it right now! HO HO HO! lol...I love the "Keep Calm and Get Your Ho Ho Ho On! Found you through Today's Creative Blog. Many thanks...have a cheery day! Thank you, Jaime! I added the "Keep Calm" one to my blog's sidebar to dress it up! It is linked back to you when someone clicks on the image. You ROCK!! Merry Christmas!! I am featuring you tomorrow during STICKER TIME!Thank you for sharing my friend! so cute. new follower :) sharing on my fb page. ho.ho.ho! wow very very pretty! love it! Love it! Ho, Ho, Ho! Added to favorites and going to print that first one off later! Thanks! Of course I pinned these because they are AWESOME!!! Thanks!!! Great Printables! I am hosting my first EVAH link party this weekend. It is up and running now and I would love for you to come link up some of your projects! Love the printables. Thanks for sharing. I would love it if you could link this up to our linky party going on right now. Great printables! 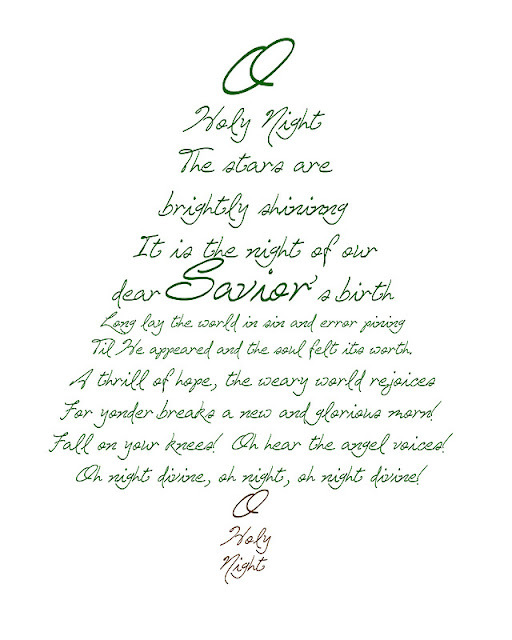 I love O Holy Night...one of my favorite songs! Thanks for linking up at Shine On Fridays! Love these printables - how can I print them? i just printed these thank you very much! 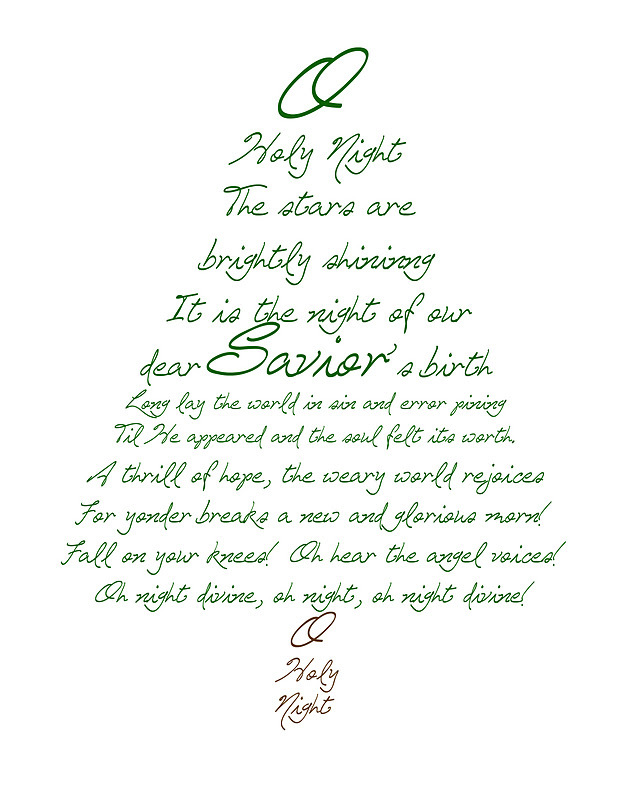 You did a marvelous job on shaping and formatting the words to form the tree in the second printable! Hey love! Pinned this one and am posting it in my blog post today :) THANKS mucho!! Merry Christmas!! Just love this! thanks oh so much! I just tried to download your files for printing but the link didn't take me to them. 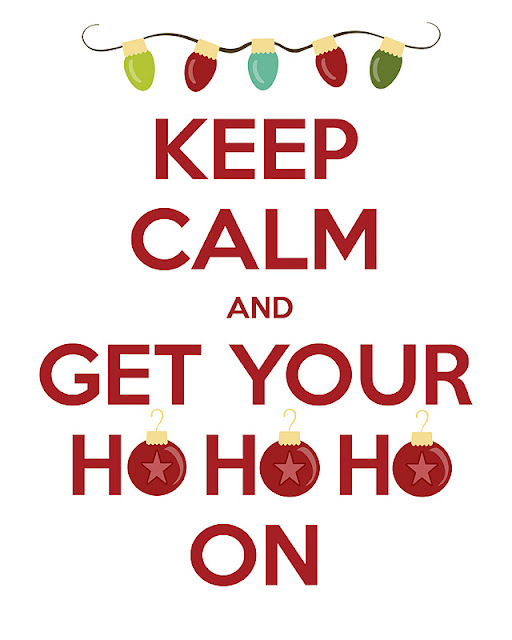 Any way to get the file for the "Ho Ho Ho" printable? I really neeeeed it! Thanks!